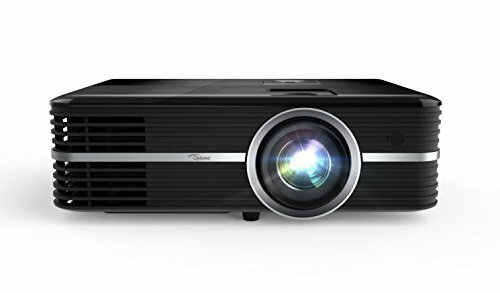 If you are looking for the best projector under 2000 for your home theatre, classroom, or any other area then ensure that it is a good one because the quality of the image will mark the impression on the audience. And, to make a good impression, it is must to understand how to select the best projector under 2000 while answering all questions raising in your mind. Some of the questions are: what should be the brightness, whether I should buy DLP or LCD projector, what should be the aspect ratio, what should be the resolution and a lot more. Answers to all these questions will help to make a decision and choose the best projector under 2000. For example, the brightness can be decided upon where you have to install the projector. If it is a dedicated home theatre with no scope for ambient light then there is no need for higher brightness. However, you can select brightness based on ANSI lumens. Projectors under 2000 offer from 1600 to 4000 or even more lumens. While you have options for DLP projectors too, LCD projectors are also available under 2000 with the high screen resolution of up to 1920 * 1080. Contrast ratio also plays a major role in the quality of the display. Good contrast ratio means crisper display. Some of the projectors under 2000 are coming with a contrast ratio of up to 300000:1, which is pretty good. In addition, you must look for if the projector supports PC or Mac or both. 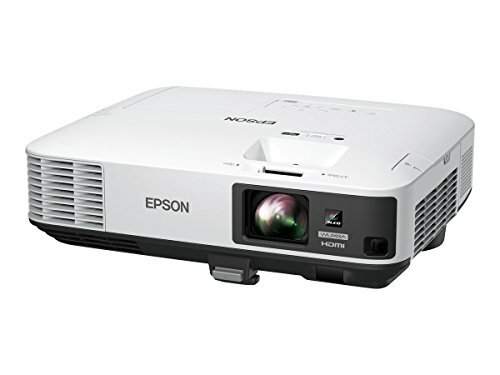 Some of the brands that offer good projectors that support both PC and Mac while available in both DLP & LCD are Epson, BenQ, Acer, Dell, and Panasonic. Just as you raise your budget up to $2000, you have a list of high-quality projectors by various leading brands in the market. And although there are much more expensive projectors than those under $2000, take no compromises even in this category. 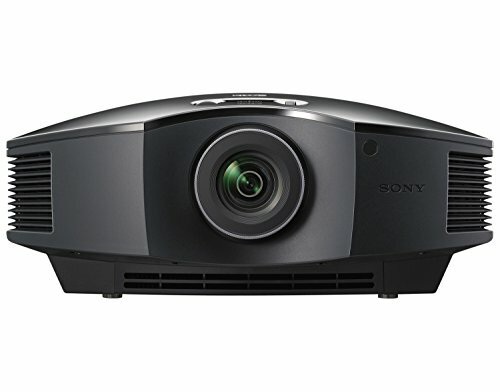 Sony VPLHW45ES Full HD projector with the 3D picture is one such projector that brings you utmost quality features. Using SXRD projection, it has 1800 lumens of white and color brightness each. The Advanced Reality Creation coupled with SXRD brings life-like entertainment to your living room and the Motionflow technology brings the picture FPS to the optimum limit. And with industry-standard RF 3D, you can literally feel the picture. The list also features three products by Epson, namely Epson PowerLite 1980WU, 1985WU and Epson Home Cinema 1440. And even though the Epson PowerLite uses the LCD technology for producing pictures; it uses an augmented one with 3x better colors and clarity. 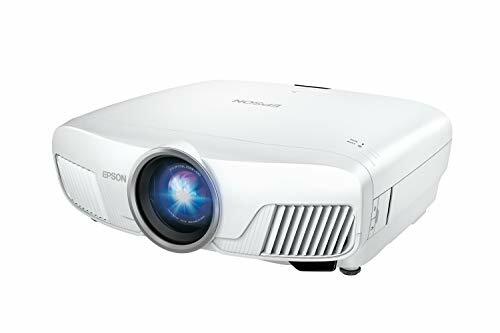 However, the Epson Home Cinema 1440 would be our recommended pick if 3LCD is what you prefer along with over 4000 lumens of Brightness and 10000:1 Contrast Ratio. MHL and HDMI connectivity covers most of the devices under the radar, and USB Type A and Type B eliminates the possibility of non-connectivity with any device out there. The native resolution this projector offers is 1080p which is unaffected even at 300” of image size. Differing only in terms of resolution, the PowerLite 1980WU model features WUXGA 1920 x 1200 pixels. 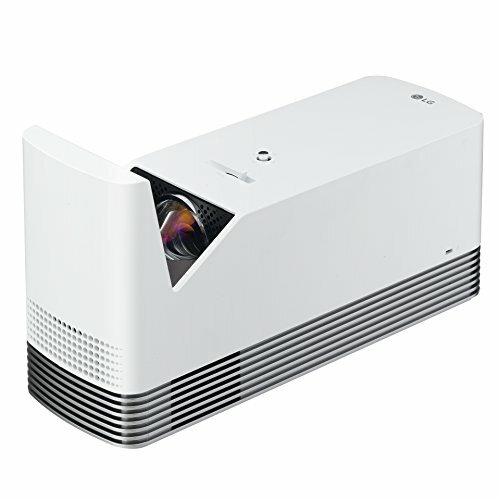 ViewSonic has also tried to make it large with its Pro8530HDL projector boasting of its 5200-lumen count and 5000:1 Contrast Ratio. 1080p resolution with 16:9 Aspect Ratio is some of the best features this projector brings you. With quite a short throw of 1.07-1.71:1, the Pro8530HDL has the potential to transform any space into a theatre without taking up much space. For connectivity, the PortAll Dongle, 3 x HDMI, MHL, VGA, USB, LAN, mini-USB, RS-232 and 12V Trigger are the numerous ways to connect your projector to extend the possibilities of entertainment in various ways.